Angela Merkel has refused to link refugee-sharing to the EU budget as she embarked on her campaign to secure a fourth term as Germany’s leader. 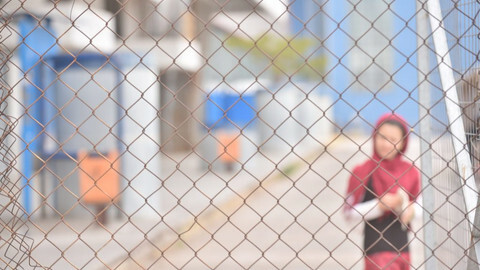 The Czech Republic, Hungary, Poland, and Slovakia are blocking the redistribution of refugees via obligatory EU quotas, leaving Greece and Italy to bear the burden of the migration crisis. 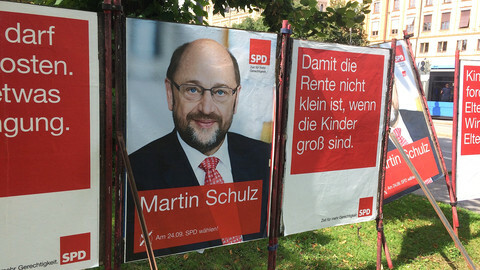 Merkel's opponent in the elections, the centre-left SPD party’s Martin Schulz, has called for a harder EU line, including cuts in EU funds for the migrant quota rebels. She made it clear that she wanted to continue negotiations instead of imposing sanctions. She also said the disagreement on the distribution of refugees was regrettable. "I will not let it go," she said. Leading with a margin of over 10 per cent in the polls six weeks ahead of the German elections on 24 September, Merkel also disagreed with her closest political ally, the leader of the conservative CSU party in Bavaria, Horst Seehofer, who has called for an upper limit to be fixed for the number of refugees that Germany can accept. 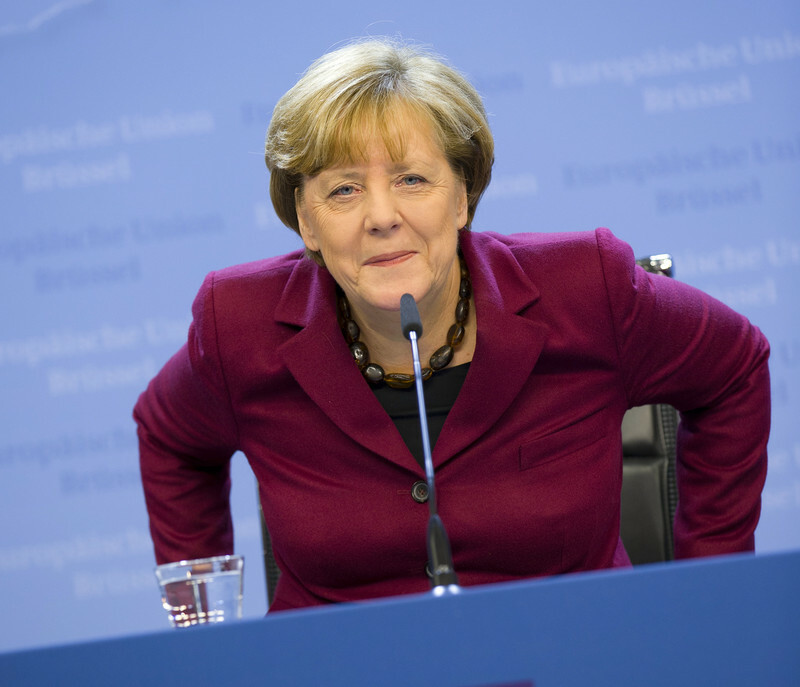 "I do not believe the upper limit is right," Merkel told Deutschlandfunks and Phoenix. She acknowledged there was "dissent" on the issue with her CSU sister party. She also said that the 2015 situation, when 890,000 refugees came to Germany in one year, should not be repeated. Freshly back from her summer holidays, Merkel also made her position clear on other political hot potatoes. Speaking at a rally in Dortmund, she castigated German car companies for having cheated on CO2 emissions by using special software. “Large sections of the automobile industry have gambled away huge amount of trust,” she said. “And when I say industry I mean first and foremost the companies’ management". 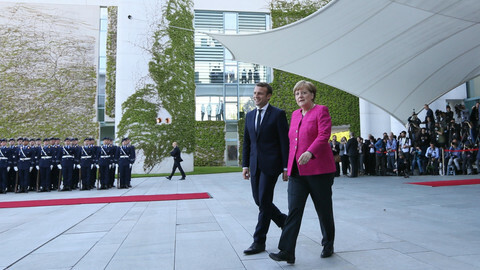 The attack marked a U-turn as Merkel had earlier defended the German auto industry against stronger EU regulations that could harm its bottom line. 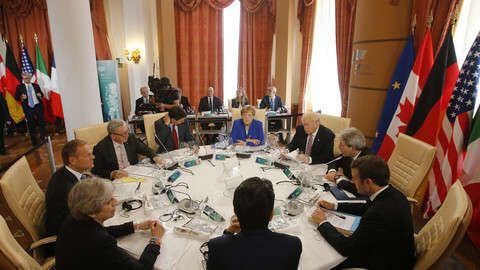 Merkel also assured voters that planned defence spending hikes would not lead to welfare cuts, rebutting SPD criticism that she had given in to US demands on Nato targets. The SPD is campaigning for more social welfare and has rejected demands from US president Donald Trump that Germany and other Nato members should spend at least 2 percent of their GDPs on the military. “We clearly say No to the two-percent target of Trump and the CDU/CSU,” Schulz and Thomas Oppermann, who heads the SPD party in parliament, wrote in a joint article earlier this month. Increasing annual defence expenditure to 2 percent would make Germany the largest military power in Europe, they said. Speaking at another campaign rally on Monday, in Gelnhausen near Frankfurt, Merkel was booed and whistled at by supporters of the anti-immigrant Alternative for Germany (AfD) party. A group of around 100 AfD supporters, some of them wearing stickers with the party's logo and carrying posters with slogans such as "Immigration needs clear rules", heckled the chancellor throughout her 33-minute speech in the market square, the Reuters news agency reported. The AfD is unlikely to do well, according to polls. 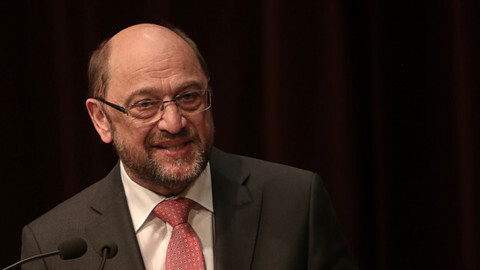 But Schulz, who was president of the European Parliament until January, said he still hoped to win despite Merkel’s massive lead. “I think I still have a good chance to lead the next government,” he told Germany's ZDF television's Berlin Direkt program. The latest poll, by the Emnid agency for Bild newspaper on Sunday, showed the SPD gaining one point to hit 24 percent support compared to Merkel on 38 percent. The margin of error was 2.5 percent. Merkel has said she is open to all possible coalition options after the elections, except a partnership with the socialist Left Party or the AfD. 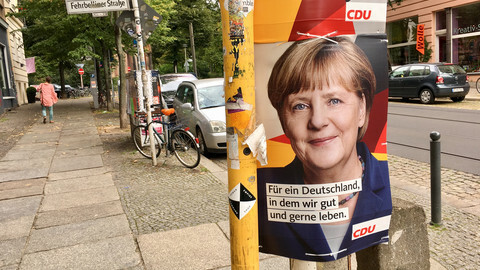 Her Christian Democratic bloc (CDU/CSU) is currently in a coalition with the SPD, but she said she might look to a new deal with German liberals or greens instead. 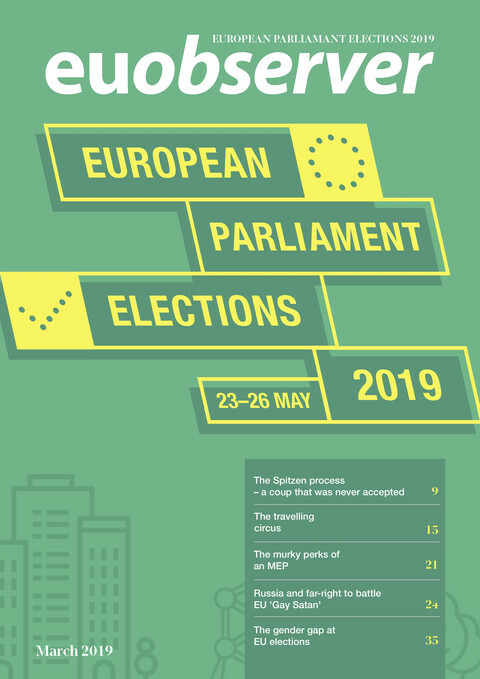 The liberal Free Democratic Party (FDP), a former Merkel ally, is polling to receive 8 percent support, while the Green Party, which backed Merkel’s open door policy for refugees, is on 7 percent. According to the poll, the Left Party was estimated to get 10 percent and the AfD to get 8 percent.